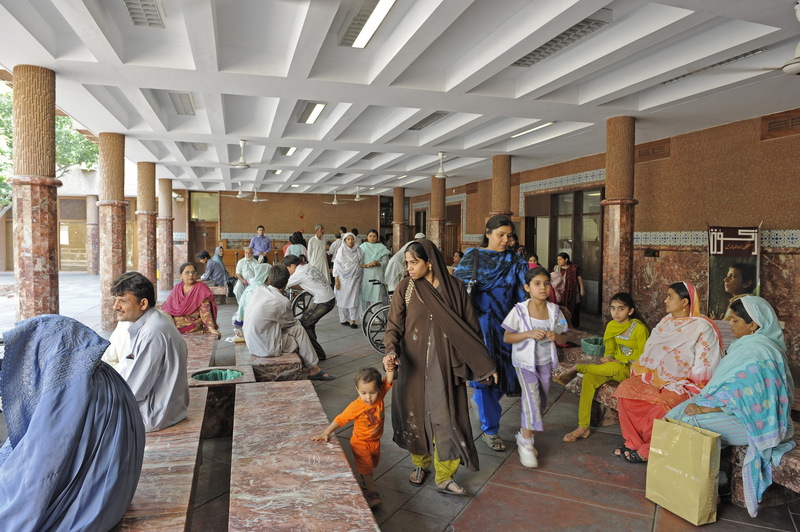 The Community Health Centre at Aga Khan University Hospital in Karachi houses the low-cost walk-in clinics, vaccination centre, pre-employment check-up clinics and a pharmacy. AKU generates its economic impact in various ways as mentioned in the report. Quality health services in Pakistan are a rarity, and at times even a luxury. By providing world-class diagnostics, treatment and care, the Aga Khan University Hospital enables its inpatients to overcome illness, get back to work and stay economically productive for longer. According to the study, in 2015, the Hospital created estimated lifetime income gains of Rs 64.6 billion (US$ 632 million) for its inpatients. The study also focuses on the public benefits that AKU creates: Encouraging excellence, empowering women, generating knowledge, patterning with government, making higher education accessible and making health care affordable. AKU health facilities treat patients from all socioeconomic backgrounds. At the Aga Khan University Hospital, one out of 10 inpatients earns less than Rs 205 (US$2) per day. In 2015, nearly half a million low-income patients received treatment on reduced fees. One hundred percent of patients seeking financial support were granted the same, as Rs 1.47 billion (US$ 14.4 million) were made available from AKU’s welfare programmes. In addition, 42,000 hospital inpatients benefitted from AKU’s 35 percent subsidy on its general ward hospital beds. Read the full report “The Aga Khan University’s Economic Impacts in Pakistan”.